This section is dedicated to all junior and juvenile events. 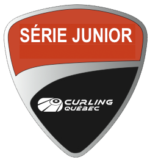 We, at Curling Quebec, believe that it is extremely important to develop junior curling not only at the competitive level but equally at the recreational level. It is important that as many young curlers as possible partake in the game to ensure a strong future for our sport. See the list below for some useful information.